The financial industry is broken. Time and time again we have seen clients, family, and friends pay high fees on unsuitable funds recommended by their current or previous financial advisor. Thrive was founded to change that narrative, and to offer low-fee, high-value financial planning services. At the same time, robo-advisors began to pop up as solution to high-fee advisors, with a service previously unseen by the retail client. 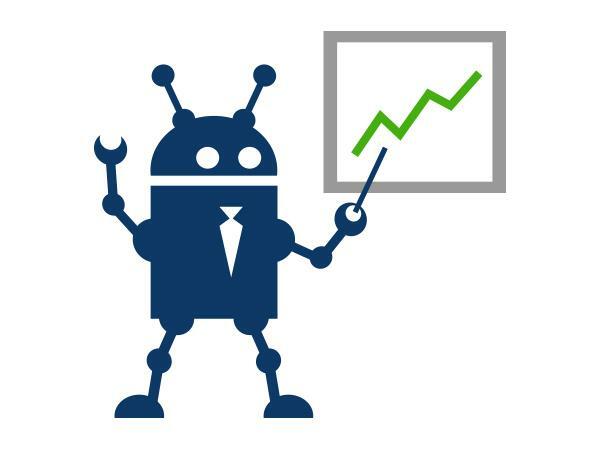 Robo-advisors are looking to offer a low-fee investment portfolio that does the work for you. What is a Robo-Advisor and how does it work? The name robo-advisor can be a bit misleading. A more accurate name would be robo-portfolio, because a robo-advisor is technically just an automated online investment portfolio. Generally, a risk tolerance questionnaire will dictate how a computer algorithm chooses to allocate your funds. For people who enjoy a hands-off experience with their investments, this could be a great way to save money on management fees. What services do Robo-Advisors offer? Is a Robo-Advisor a good fit for you? Robo-advisors can be a great tool for those looking to get started with passive investing. If you want to create a portfolio yourself with minimal research, then this is the perfect fit. However, like we said above, this is more of a robo-portfolio than a robo-advisor, so you should keep your expectations tempered. These portfolio management tools generally do not offer face-to-face interaction, estate planning, insurance planning, budgeting, capital gains management, separate accounts management, or pep talks when the market is down. They are strictly investment accounts that attempt to do the work for you. Robo-advisors are relatively new. The first accounts were set up in 2008, so this idea has plenty of room to grow. As we move forward, companies like Betterment or Wealthfront are already beginning to offer some planning services to their clients of a certain net worth. It will be interesting to watch this niche develop within the financial services sector.